I'm Brigit, founder of Biddy Tarot, now I'm here today with the Monthly Tarot Forecast for July 2017. I usually use the Radiant Rider Waite Tarot deck, but because I have so many other beautiful decks, I'd love to start featuring them in these forecasts. Today's forecast is going to feature the Fountain Tarot and this is a gorgeous deck. It's watercolors, and it's got quite an in-depth feeling to it. We'll look at the Blessings, the Challenges, and your Actions you can take in order to make the most out of the upcoming month. 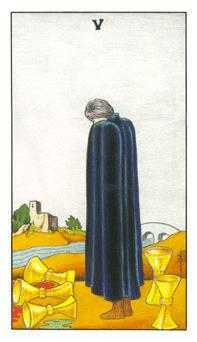 The Blessing for this month is the Five of Cups. If you know this card you might be like, "How on Earth is that a Blessing?" Because this card often talks to feelings of loss, sorrow, grief, or having to leave something behind with that feeling of regret. We can see it in this card -- the man here who is standing and looking at these Cups being overturned, and yet there are two upstanding Cups behind him. He's got quite an ethereal feel about him. Now, this card, as a Blessing, is a sign that even though some things might not be working exactly as you want them to, there are still opportunities available to you. If, instead of focusing on what's now working, you actually start to focus on what IS working, you may find that you have a few more Blessings than you realize. 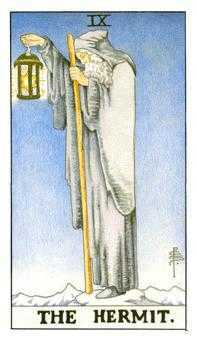 The Challenges for this month are represented by The Hermit card. Again, quite a dark, heavy energy with this card. What I see in this card is this feeling of isolation and being alone and having to find your own way. He's using his lantern to find his way, but it still feels like that heavy darkness. If things aren't quite going your way, you might have that feeling of getting stuck in the heaviness of it all, and you might wonder, "How am I going to find my way through this?" Yet, you can only see the next few steps in front of you, and that's OK, that's all that needs to be revealed to you at this time. Our Actions for the month of July is The Fool card. After all that heavy, dark energy of the Five of Cups and The Hermit, we have such a beautiful light and free card here with The Fool. 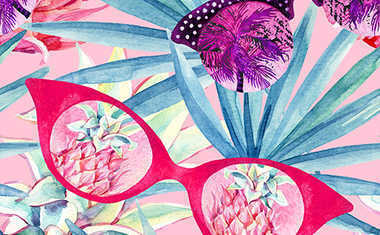 The Action or the advice for this month is to lighten up. You can get really stuck in the doldrums and get upset about it, or you can say, "Look, this is the way it is, so I'm going to choose my feelings, and I'm going to choose lightness and new experiences. 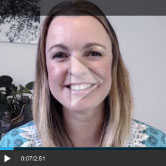 I think the main message here is that you are going through a transition in July, and you can either look to your past and say, "Ugh, heaviness, I'm having to give up things," or "I'm losing something," or you can look to that future element and go, "Wow, there's all these new opportunities opening up to me." Remember with The Fool it's very much about that new beginning. 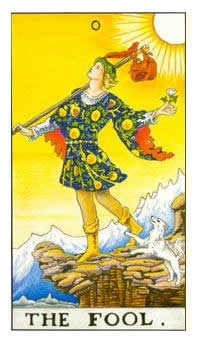 The Fool is the 0 card -- not even the birth but the conception, just the seeding of something new happening. So stay in that energy to really make the most of your month ahead. I'd say, keep really focused on the energy of The Fool and stay in that lightness and openness to all experiences.